Apartments Zugspitzpanorama in Garmisch-partenkirchen is an apartment building. 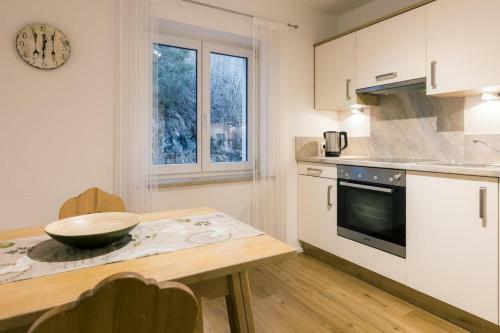 Built in 2013, Ferienwohnungen Schalmei offers elegantly furnished, modern apartments in scenic Garmisch-Partenkirchen. Guests will enjoy the view of the alps and free WiFi in each room. Each spacious apartment is flooded in natural light and comes fully furnished. The wooden floors and large windows give the rooms an airy feel. Each includes satellite TV as well as a private bathroom with a shower or bathtub. Guests have access to a washing machine and a tumble dryer located in the basement of ...the main building. While various local dining options are only a 10-minute walk from the property, guests are invited to prepare their own meals as each apartment features a fully-equipped kitchen. 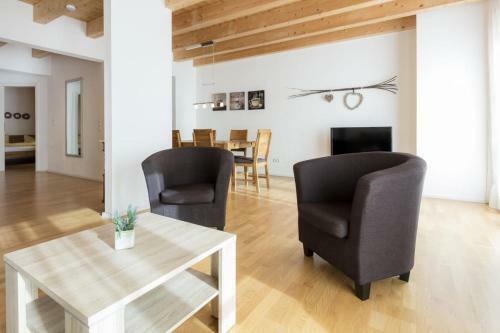 Guests can choose to enjoy the surrounding Alps and view of the Zugspitze on-site, or head out to local sites such as the Werdenfels Museum or the Historical Ludwigstraße, each just 600 metres away, Free parking on site is subject to availability. 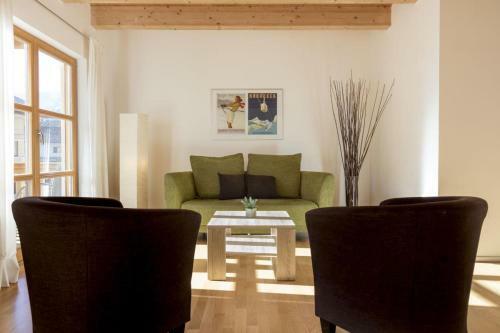 Built in 2013, Ferienwohnungen Schalmei offers elegantly furnished, modern apartments in scenic Garmisch-Partenkirchen. Guests will enjoy the view of ...the alps and free WiFi in each room. Each spacious apartment is flooded in natural light and comes fully furnished. The wooden floors and large windows give the rooms an airy feel. Each includes satellite TV as well as a private bathroom with a shower or bathtub. Guests have access to a washing machine and a tumble dryer located in the basement of the main building. While various local dining options are only a 10-minute walk from the property, guests are invited to prepare their own meals as each apartment features a fully-equipped kitchen. Guests can choose to enjoy the surrounding Alps and view of the Zugspitze on-site, or head out to local sites such as the Werdenfels Museum or the Historical Ludwigstraße, each just 600 metres away, Free parking on site is subject to availability. When would you like to stay at Apartments Zugspitzpanorama? Children and extra beds All children under 4 years are charged EUR 25 per stay for children's cots/cribs. The maximum number of children's cots/cribs in a room is 1. There is no capacity for extra beds in the room. Supplements are not calculated automatically in the total costs and will have to be paid for separately when checking out. This property will not accommodate hen, stag or similar parties. Payment before arrival via bank transfer is required. The property will contact you after you book to provide instructions. A security deposit of EUR 200 is required upon arrival for incidentals. This deposit is fully refundable upon check-out and subject to a damage inspection of the accommodation.